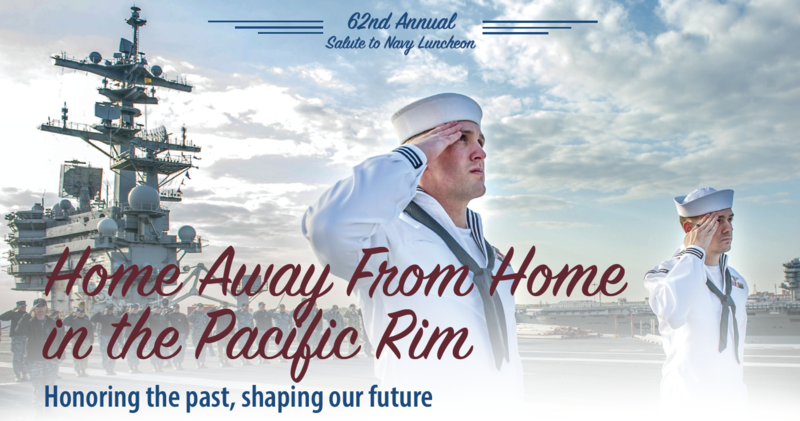 The National City Chamber of Commerce together with the City of National City will honor the men and women of service in the United States Navy during the 62nd Annual Salute to Navy luncheon on Thursday, November 1, 2018 at the Martin Luther King Jr. Community Center (140 East 12th Street, National City, CA 91950). National City’s Salute to Navy has been a longstanding tradition for the past 62 years. National City holds this event every year during the month of October which celebrates the Navy’s birthday. This is the first and longest running event of its kind in the United States. National City’s Salute to Navy was founded by former Army businessman George Buell, who was manager of the W.T. Grant Department Store in National City. He recognized the long and mutually supportive association between the military in San Diego and the community specifically the strong ties between National City and its Naval Station neighbor. This event is an opportunity to express city wide gratitude to our armed forces and highlight the Navy’s impact on the local and regional economy such as their contributions to education, workforce development, national security, and economic development. For Sponsorship Form, Click Here.